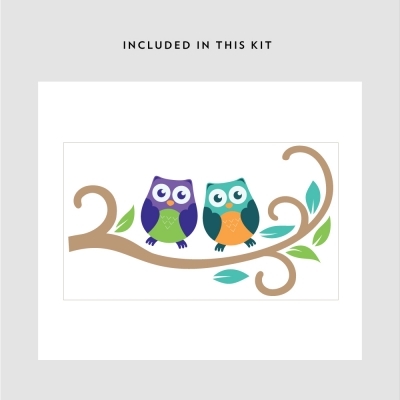 Hang out with these two buddies on a branch with this Owl Branch Printed Decal. The decal is printed on a re-positionable adhesive wall fabric material that allows you to move and rearrange the decal if needed. The owls can be moved around and placed anywhere you desire. 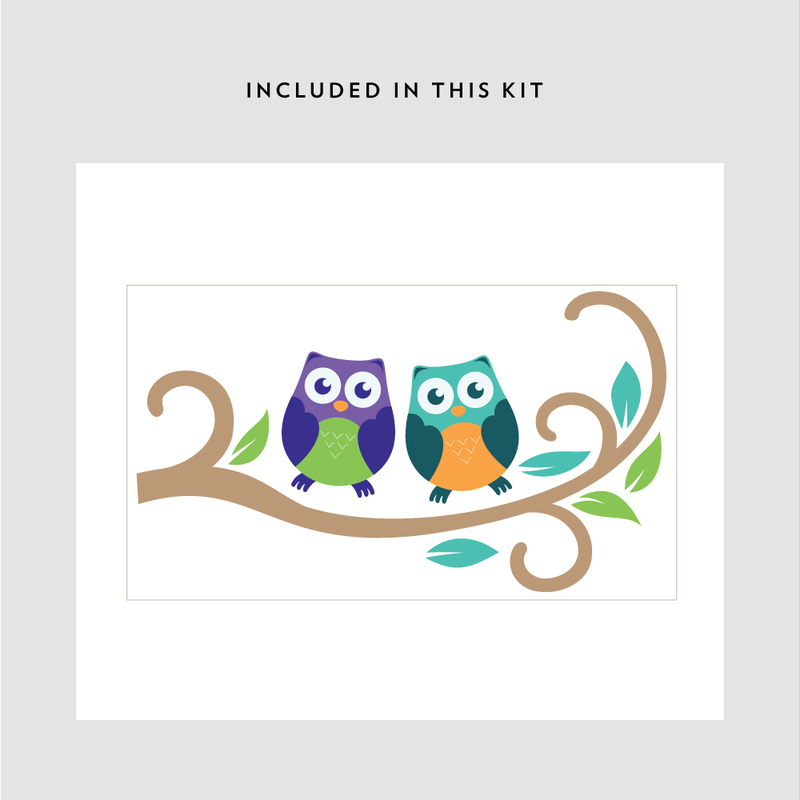 Sheet Size: 22.6" x 12.9"
Each Owl: 4.8" x 6.2"
Sheet Size: 33.6" x 19.1"
Each Owl: 7.1" x 9.3"
Sheet Size: 44.7" x 25.6"
Each Owl: 9.5" x 12.4"